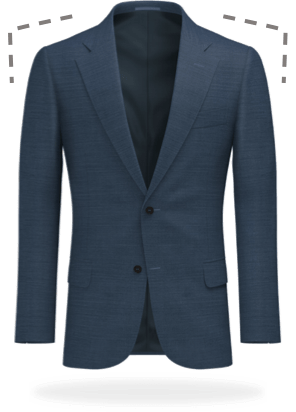 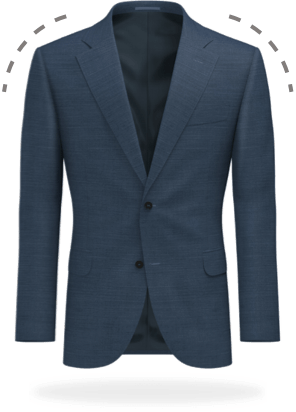 Blue Line suits are your sartorial start at Suitsupply, featuring year-round, classic Italian fabrics in Super 110's and Super 120's wool. Purple Line features a wide selection of classic and contemporary pieces. 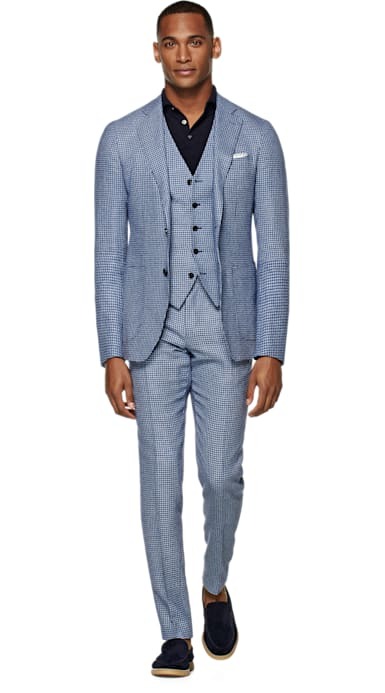 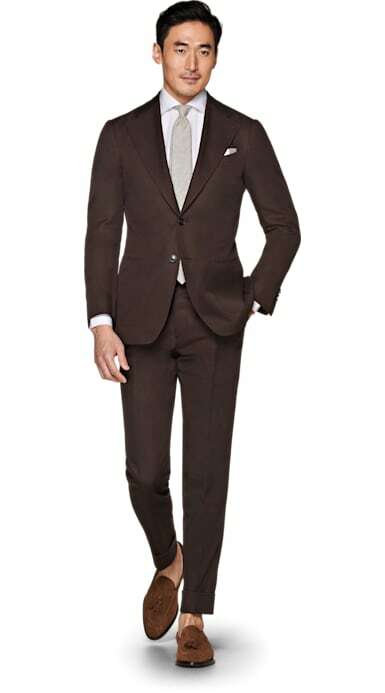 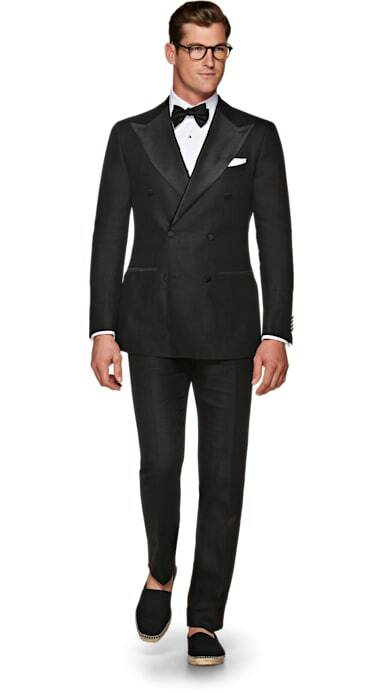 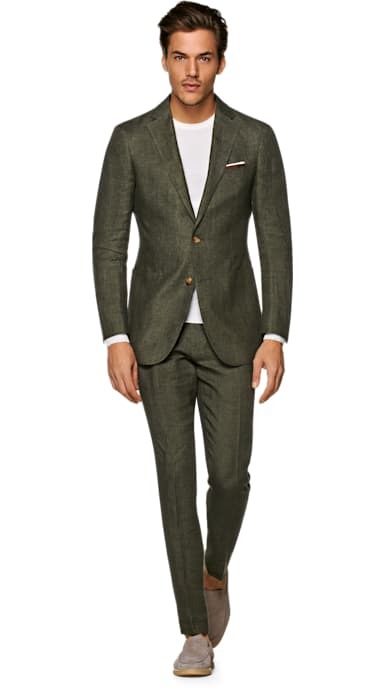 These suits feature Italian Super 110's to Super 130's wool and different seasonal fabrics. 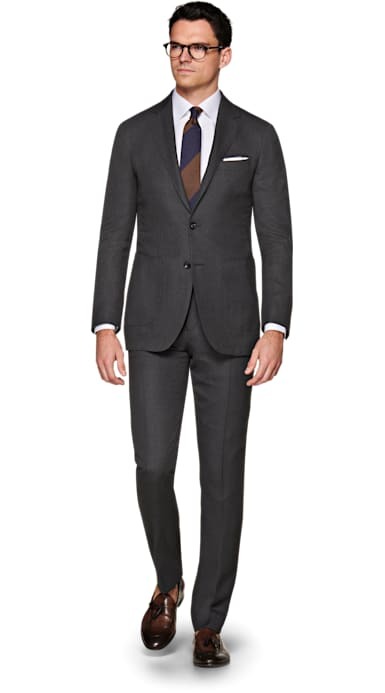 Red Line suits are our most sartorial pieces. These suits feature wool in Super 130's and up, including the finest blends with cashmere and silk, as well as handmade detailing.